Kimberly R. Jones-Sneed / C.E.O. Kimberly R. Jones Sneed, a native of St. Louis, Mo., possesses over 35 years experience in public relations, advertising, broadcast and print journalism. She currently serves as a minister at Pleasant View Ministries Church in Pine Bluff, Ark. where the pastor is William A. Shaw, Jr. Her ministry focuses on helping people to communicate more effectively and fervently under the leading and guiding of the Lord. In 1984, Kim received a Bachelor of Science Degree in Mass Communications in 1984 from Lindenwood College – now known as Lindenwood University – in St. Charles, Mo. She received additional training in business management and computers from the University of Arkansas at Pine Bluff and Southeast Arkansas College, both in Pine Bluff. Kim has been a radio personality at stations in Missouri, Illinois and Arkansas. She currently serves as community news announcer at Deltaplex Radio in Pine Bluff, AR. She is also a former business editor, regional editor and freelance writer for the Pine Bluff Commercial newspaper. Kim is the president/CEO of Jones & Sneed Creative Associates, a public relations company. 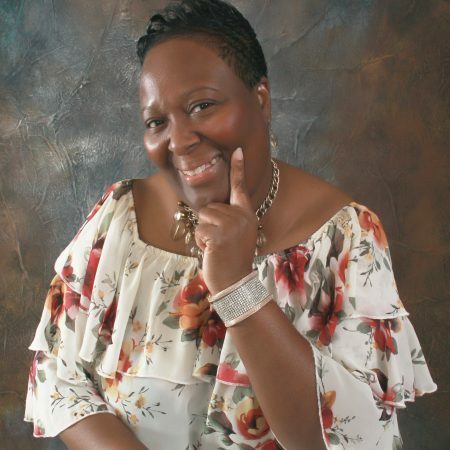 She is also the founder/publisher of www.StuffintheBluff.com, a gospel music news and faith-based entertainment website. “Stuff in the Bluff,” as it is affectionately known as, won the 2009 Rhythm of Gospel Award in the category of Print, Press and Media of the Year. In addition, the site was a two-time nominee (in 2011 and 2014) for the Rhythm of Gospel Awards. A trailblazer in her community, she became the first African-American director of marketing and communications for the Economic Development Alliance of Jefferson County in 1999. She was also named the first African-American communications manager for the Arts & Science Center for Southeast Arkansas. While there, she coordinated marketing efforts to increase minority membership and implement culturally diverse programming. Today, the center continues to enjoy increased minority membership. Kim currently serves on the REJOICE (Renewed and Empowered for the Journey to Overcome in Christ Everyday) Task Force, which leads in the promotion of emotional health and mental wellness in churches and communities. She is also a member of the Board of Directors for the Family Community Development Corporation and the NAACP Committee for Housing, Economic, Business and Community Development. She has one beautiful daughter, Le’Annah Michelle Sneed, who received her Bachelor of Science Degree in Human Development and Family Studies from the University of Arkansas at Pine Bluff in December 2017.